Capital Car Finance has some amazing finance deals available for both new and used Land Rovers, our Land Rover PCP [Personal Contract Purchase] and LP (Lease Purchase) car finance schemes have been enjoyed by our customers for many years and now with the introduction of our Land Rover car leasing and contract hire products, we have something available for everyone. We pride ourselves on our transparent “one to one” professional service, which is why most of our customers come back to us time and time again, please see our testimonials for more information. Our car finance products are available for all Land Rover vehicles up to 3 years old, providing they are supplied by an approved UK Land Rover dealership, we have deals available for both business customers or private customers. Please find details below on all our available new and used Land Rover car finance products, alternatively why not give us a call to discuss the various options we can offer with a dedicated experienced adviser, you can call us either our freefone number 0800 043 4340 or national 01925 589020. 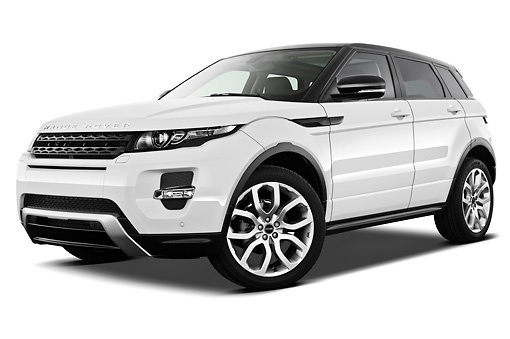 Capital Car Finance Specialise in New & Used Land Rover Car Finance including, Land Rover PCP Finance, Land Rover Lease Purchase and Land Rover New Car Leasing. PCP Car Finance has become one of the best ways to purchase or finance a new or used Land Rover today, personal contract purchase allows you to purchase any Land Rover car of your choice at an affordable fixed monthly payment, with an initial low deposit and a guaranteed minimum future value (GMFV) or buy back at the end of the agreement term. At Capital Car Finance we have the ability to offer our customers a very low rate of interest (From just 4.9% APR) together with industry leading GMFV’s making Land Rover cars very affordable. Land Rover PCP Car Finance is very useful if you drive a company car and are opting out of a company car scheme for example (Cash for Car), because you can use your company car allowance or mileage reclaims to fund your monthly PCP payments and avoid paying excessive company car taxes. The Land Rover personal contract purchase plan provides the benefits of driving a higher specification Land Rover for lower monthly payments, unlike traditional methods of car finance, this is achieved by deferring a percentage of the total cost of the Land Rover to the end of the contract, which is the guaranteed minimum future value or GMFV as its more commonly known as. This guaranteed minimum future value (GMFV) and is the key difference between PCP and traditional forms of car financing such as Hire Purchase.  The GMFV plus your deposit is subtracted from the selling price of the Land Rover and your monthly payments are based on the balance (plus interest on the balance and the GMFV). Effectively, you will make lower payments than traditional financing simply because you are essentially only funding the depreciation. At the beginning of the agreement, you decide on the total mileage you expect to do. If, at the end of the agreement, having chosen to hand your Land Rover back to the finance company, your mileage exceeds the agreed level, you simply pay a fixed amount for every extra mile. It is in your interest to minimise your Land Rover’s ‘wear and tear’ and not exceed the agreed mileage. When the agreement has finished, the vehicle may well be worth more than the GMFV, providing you with extra value, In simple terms ‘normal wear and tear’ means that for its age and mileage, the Land Rover is in fair working order, condition and repair. The customer will normally benefit from a slightly lower finance rate with an Land Rover lease purchase car finance product as there is no guarantee offered at the end of the contract, the deferred lump sum amount at the end of the agreement is known as the Residual Value (RV) or balloon, and this has to be paid by the customer for outright ownership of the Land Rover. Deposits for Lease Purchase are flexible and are normally a minimum of 10% and a maximum of 40% of the total vehicle price, repayment periods are taken over 3 or 4 years typically. The Residual Value (RV) (sometimes called the balloon) at the end of the agreement reduces the regular monthly payments accordingly, thus making vehicles that traditionally have a strong Residual Value (RV) like Land Rover, more suitable for this type of product as they make repayments far more affordable. The Residual Values (RV) is calculated and set at the beginning of the lease purchase finance agreement but is not payable until the end of the contract, there are realistically two options for an Land Rover lease purchase at the end of the term, 1. Pay off the residual value in cash or settlement by part-exchange or 2. Some lenders will allow the residual value to be spread over a secondary period and refinanced again. New car leasing is becoming a very popular choice these days as it allows customers to drive a brand new car for a lower monthly payment and a small initial deposit, you don’t have to worry about selling the vehicle either, simply return it to the leasing company at the end of the contract and walk away. Car leasing is available for business and personal customers and is a long-term rental agreement, the contract can include service and maintenance, breakdown cover and a replacement vehicle and in most cases the road fund licence is included for the duration of the agreement. As car leasing is a rental agreement it will subject to VAT, if you are a VAT registered business you can reclaim this back from HMRC on your VAT return (100% for commercial vehicles and 50% for cars). The monthly rental is calculated from the length of contract and the estimated miles driven, at the end of the period the vehicle is returned to the leasing company as the leasing company always the registered owner of the vehicle. It is treated as “off balance sheet funding” in a company’s accounts. New car leasing is completely risk free and almost always works out cheaper than outright purchase of a vehicle. This is due to the extra discounts and support received from manufacturers, which are passed on to the hirer and reflected in the monthly rental.